Tammy writes: I have a coin dated 1788. 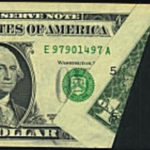 One side states “COMMON WEALTH” around the edge with a standing indian holding a bow and arrow. The other side states “MASSACHUSETTS” around the edge with an eagle and shield. The eagle’s wings are spread and each claw is holding something. One claw is holding a branch from a tree, maybe. The other claw is holding wheat possibly. Got any ideas? Thanks! You have a Massachusetts 1/2 cent or cent. 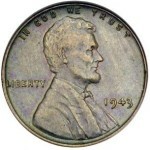 (The half cent is the size of a current US quarter, the cent, nearly the size of a US current half dollar). The obverse of the coin shows an Indian with a star to the left of his head and the words COMMON WEALTH around. The reverse shows a spread eagle with the words either half cent or cent on its breast. This may not be apparent if the coin is severely worn. The eagle is holding a bundle of arrows in one claw (symbol of war or strength) and an olive branch in the other (peace). The legend, MASSACHUSETTS, is around the eagle. There are many varieties of these interesting coins since all the coins were struck from hand-made dies. For example, the bundle of arrows in the eagle’s claw may appear in either the right or left talon. The coins were first authorized by the Massachusetts General Court in 1786 and were minted under the direction of Joshua Witherle. The dies for these bronze coins are attributed to Joseph Callender and Jacob Perkins of Newburyport, Massachusetts. 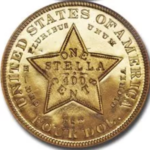 -This is the first “American” coin struck with the words cent and half cent. 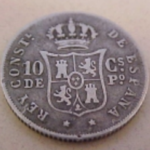 -The coin ceased production in 1789 to comply with the newly ratified United States Constitution. Value depends on the major type and the grade (condition). 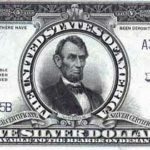 Value Range (good -uncirculated): $50 – $3,000+.